WASHINGTON, D.C. – June 25, 2013 – (RealEstateRama) — International home sales in the U.S. declined in the past year, but are at their second highest level in recent years and are over six percent of total existing-home sales in value. According to the National Association of Realtors® 2013 Profile of International Home Buying Activity, interest in U.S. properties continues to grow, signaling that America continues to be regarded by international buyers as a great place to own property. “Realtors® provide international buyers with a significant advantage when purchasing property in the U.S. Realtors® who have earned NAR’s Certified International Property Specialist designation have received specialized training and are well prepared to service the international market,” said Thomas. 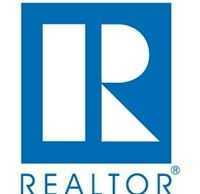 Twenty-seven percent of Realtors® reported having worked with international clients this year. The most important factors influencing international clients’ purchases reported by Realtors® were that the U.S. is viewed as a desirable location and that the real estate market is regarded as a profitable investment. Five states made up 61 percent of reported purchases; Florida (23 percent), California (17 percent), Arizona (9 percent), Texas (9 percent) and New York (3 percent). About half of foreign buyers preferred to purchase in a suburban area, while a quarter preferred a more central city/urban area. A majority purchased a detached single-family home and 63 percent used all-cash. Based on the reported international transactions, the mean and median prices of purchases were higher when compared to purchase prices of domestic buyers. For the 12 months ending March 2013 the median international home price was $275,862 and for domestic buyers it was $179,867. The types of homes purchased by international buyers frequently tended to be different from the types of homes purchased by domestic U.S. buyers. International buyers are more likely to be substantially wealthier and looking for a property in a specialized niche.